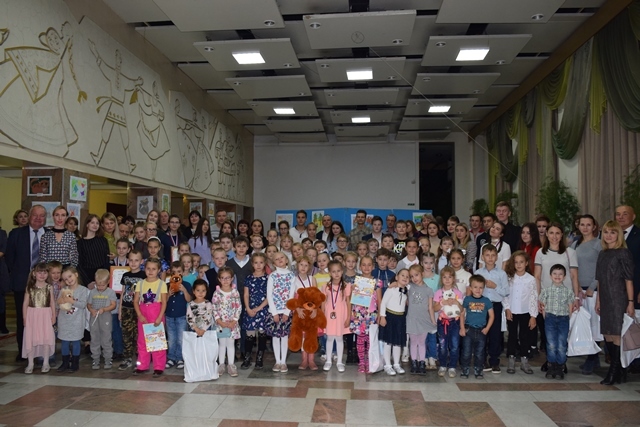 On October 18, 2018 in Angarsk the children's drawing contest «Angarsk Vernissage» among the children of employees of JSC AECC and its contractors dedicated to the 61 anniversary of the plant commissioning of the plant completed. The organizer of the event were JSC IUEC and the primary trade-union organization of JSC AECC. Within a month of the competition organizing committee received children's works made in the traditional and unusual techniques, using different artistic methods and materials. 91 «small masterpieces» were produced by young artists in the age between 4 and 17 years old. The works in all categories and in each age group were interesting, colourful and become a real decoration of the Marble room in the Palace of culture «Sovremennik». The jury faced a difficult task: identify the best among the presented pictures paying particular attention to compliance with the contest theme, creative idea originality, emotional impact, quality and performance aesthetics. 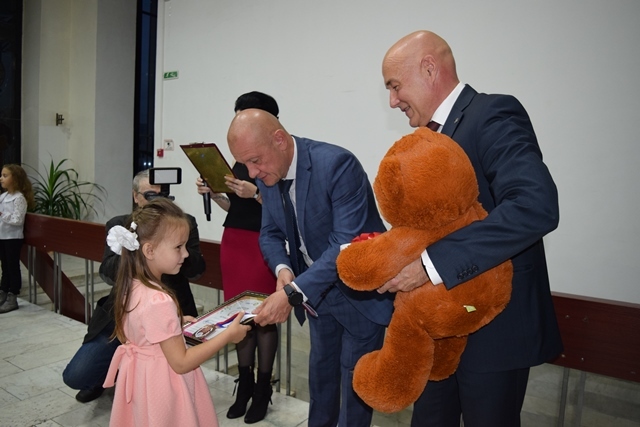 General Director of JSC AECC Alexander Dudin and Deputy General Director of JSC IUEC Sergey Egorov came to say their congratulations to the kids. The children participated with pleasure in a quiz about the history and activities of the plant moderated by Alexander Dudin, and got a lot of positive and joyful emotions. In his speech, General Director of JSC AECC said that «the interesting works were presented to the contest with a creative approach to topic development», thanked all participants and their parents. Mr. Egorov wished the participants «creative successes, not rest on the laurels, always move forward and know that people can cope with any vertex». 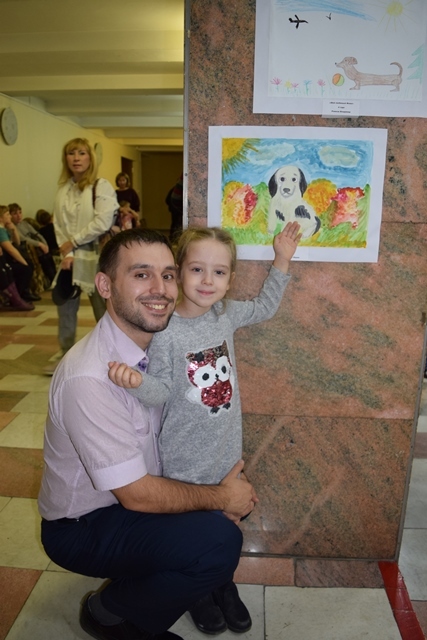 Based on the results of the contest in the nomination «The world around us: My favourite animal» (category 4 − 7 years) the first place received Julia Kalk (6 years old , «A cat with kittens»), the second place went to Aleksey Kakhanov (6 years old, «Cat Dymka») and the third to Anastasia Utina (5 years old, «Little fox»). In the nomination «Nuclear family: Summer vacation «Here it is, our summer» (category 7 − 10 years) the winner became Safina Shafigulina (10 years old, «Here it is, our summer»), second place went to Ivan Trifonov (7 years old, «Fishing with daddy on the Lake Baikal»), the third place − Anastasia Gertsog (8 years old, «Summer vacation at the Lake Baikal»). 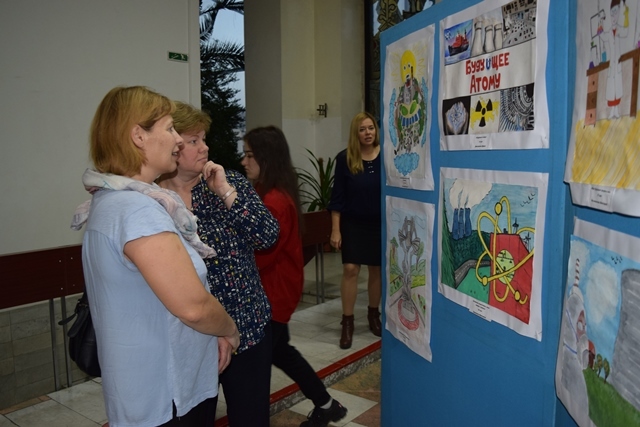 In the nomination «Nuclear City: Nature of home town or memorable places of the town» (category 11 − 14 years) the best became the picture of Elena Masloboeva (12 years old, «The nature of my home town»), the second place was awarded to Maria Mironova (14 years old, «Whisper of the Universe»), the third place − Ekaterina Ihsanova (11 years old, «My Angarsk»). 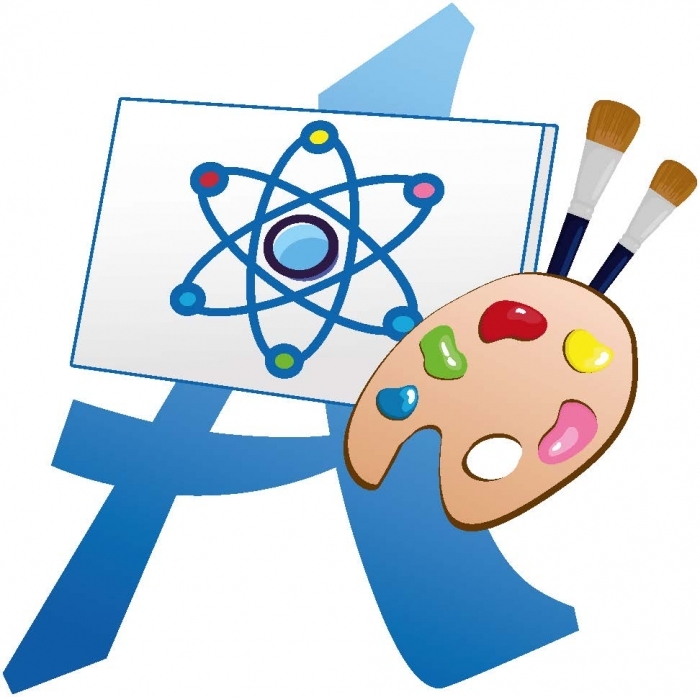 In the nomination «I want to work in the nuclear industry: The way I see nuclear power» (category 15 − 17 years) the first nominee became Sophya Orlova (15 years old, «Each step under control»), the second place by the sum of points became Darya Dmitrieva (15 years old, «The future of the atom») and third one − Elena Rezenkova (16 years old, «Nuclear power with my eyes»). Nobody was left without a gift that day. 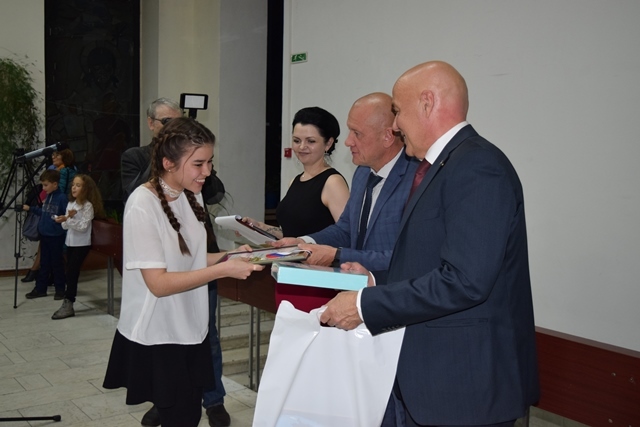 The winners of children's competition were awarded with diplomas, medals and prizes, and all participants of the event have received kits for children's creativity. The event ended with a sweet table and an entertainment program with quizzes, dances and songs.